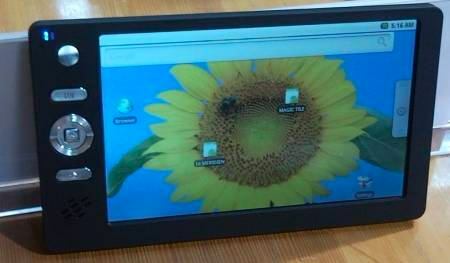 $35 Android tablet by Indian govt. is a Chinese device? Always in controversy, the tablet device that is going to be launched by the Indian govt. 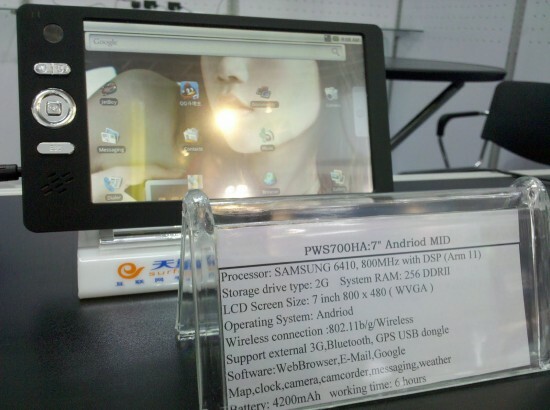 supposedly on January 10th, 2011 has now landed into another controversy where one of the Android blogs AndroidOS compared it with one of the devices by a Chinese companies, Hivision who had announced an almost similar designed android tablet in the CeBIT 2010. If that is the truth, what would HCL computers do about the manufacturing deal all know about. The device by Hivision is named the Hivision SpeedPad or PWS700HA, and the price it was going to sell for, was around $100. If Indian govt. is going to sell it for around $35, that’s a good deal. The only poor thing the Indian government would be doing is calling themselves innovative and this project as a great success for the Indian govt. Its just a deal with a company, not anything that the government is building by itself. Comparing the specs, both the tablets are powered by Android operating system, and both have the 7-inch resistive touchscreen displays, with the 800 x 640 pixels screen resolution. There is a virtual keyboard and both have the camera on the back, and support all kinds of media, connectivity being through the 3G network, Wi-Fi. The only thing I don’t find on the Hivision SpeedPad is the SIM-card slot, that is going to be included in the device being launched by the Indian govt. The only small difference apart from the SIM slot is the refined design, where this new device is getting a more brighter and curvy body but most of it is the same. The only wait is the answer from Hivision on this, whether they are really selling the devices to the Indian govt. or is the latter taking the inspiration of the design and specs of the SpeedPad to build the tablet on their own, by dealing with the Indian companies, like HCL which is in talks. As of now, the 7-inch one is going to be released, but there are talks that the 5-inch and 9-inch one are also going to be released later, at least this is not available in Hivision. Let that be a chinese tablet or a copy of it, the price of $35 is good enough for that. Who would run behind a story of the device being a copied one, when it’s being available for a price 3 times lesser than the original one.